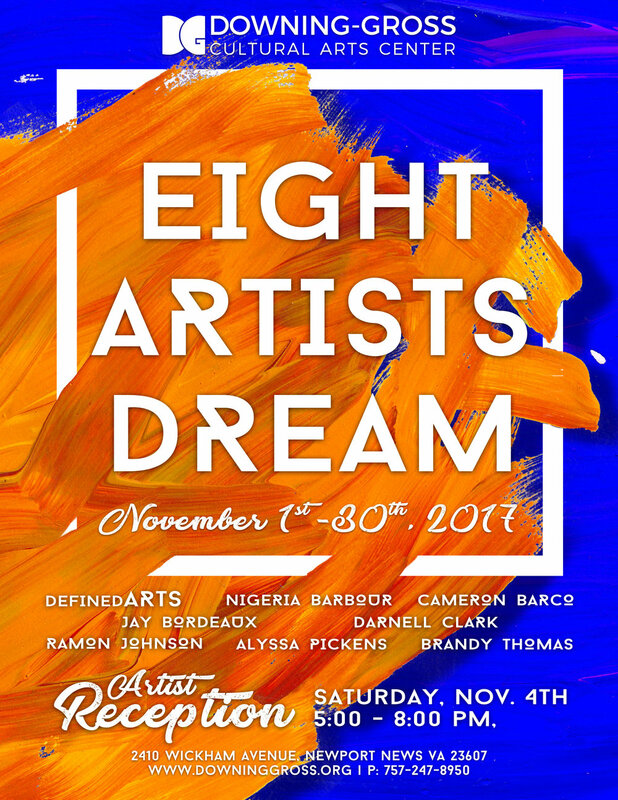 Join us for the reception of our new gallery exhibit entitled Eight Artists Dream. This multi-artist collaborative exhibit will be open in the Newport News Community Gallery on our second floor for the entire month of November. For the chance to meet the artists featured in the gallery, join us at the artist reception on Saturday, November 4th at 5:00 pm. This event is free and open to the public.